Today (2017-06-04), I’ve pulled the package names and the names of the functions of a package from the API on rdocumentation for the 500 most downloaded R packages. After some processing, I’ve created a contingency table of the naming styles of the function and package names and visualized it using the following mosaic plot. The modal value of the function naming style is used, if different styles occur. If lowercase and lowerCamelCase functions are used in one package, the lowercase occurences are added to the lowerCamelCase counts. First we see that around 70% of the package names are in lowercase. 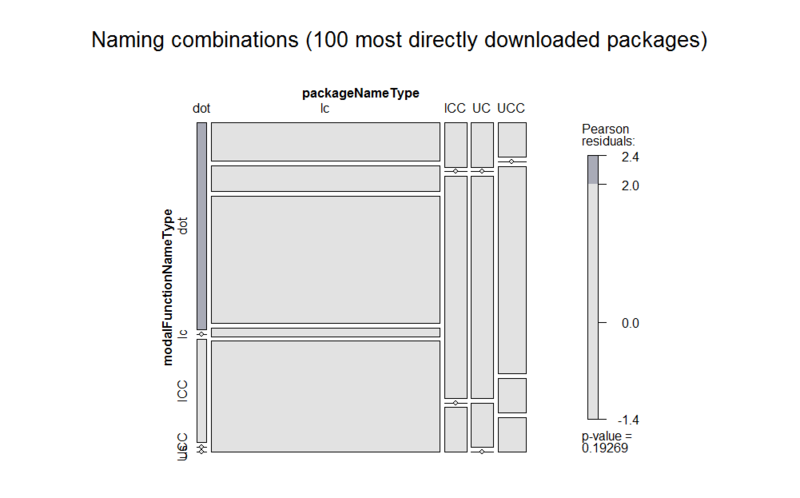 This large proportion could be interpreted as a guideline for choosing a package name. The function names are distributed in a more heterogenous way. The combination of lowercase package names and lowerCamelCase function names appear most frequently. Also underscore, dot and lowercase function names are used often in conjuntion with lowercase package names. 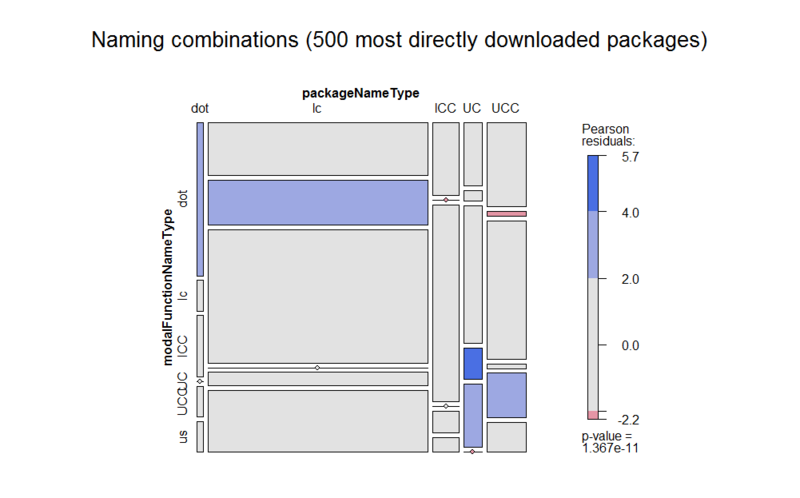 When we have a look at the top 100 of the most downloaded R packages, we see that combination between lowercase package names and function names with underscores is the second most frequent one.